You’re looking to head out for a weekend adventure, random road trip, or maybe you’re hitting the road full time in your rig. Regardless, you have a lot on your mind including how your furry companions are going to adjust to RV life. The key ingredient to your pets enjoying this style of life is time, however, there are things you can do to help the process along. Our dog McNally was a puppy when we rescued him and we were already living full time in our RV. With him being a puppy it made things a little bit easier. Plus we didn’t have another option for him to get used to first, though we did make a point of doing as many of the below steps as possible. Our cats, on the other hand, were with us before we even thought of an RV, so they’ve experienced everything below, and I’m happy to say they’re fully acclimated. Let’s move on to some steps you can take to make your travel with pets as smooth as possible. It’s important to take time to get your pets acclimated to the new environment. There are a couple of things you’ll want to do. First, you’ll want to place items your pets are used to in the new environment. This way your pets will smell familiar scents and feel more comfortable within the new space. 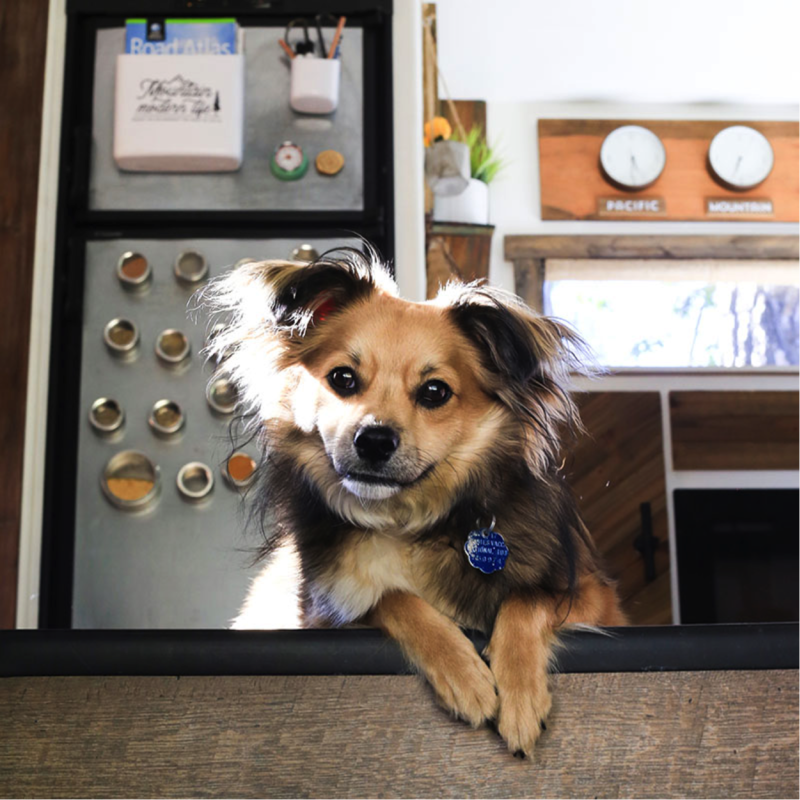 Now that your RV is loaded with familiar items, it’s time to introduce your pets to it. This process can take a bit of time, and the earlier you can start, the better. If you have a dog you’ll want to walk them around the outside of the rig letting them get a sense of the exterior. It’s a good idea to do this every time you bring them over to the new space while you’re in this adjustment period. Giving treats can help your dog associate the RV with something positive. Once you’ve introduced the outside, grab your treats, bring your pet inside and let them play around or more than likely slowly sniff around. You’ll want to be with them in order to help keep them as comfortable as can be. For the first trip over I think about 10 minutes is good. 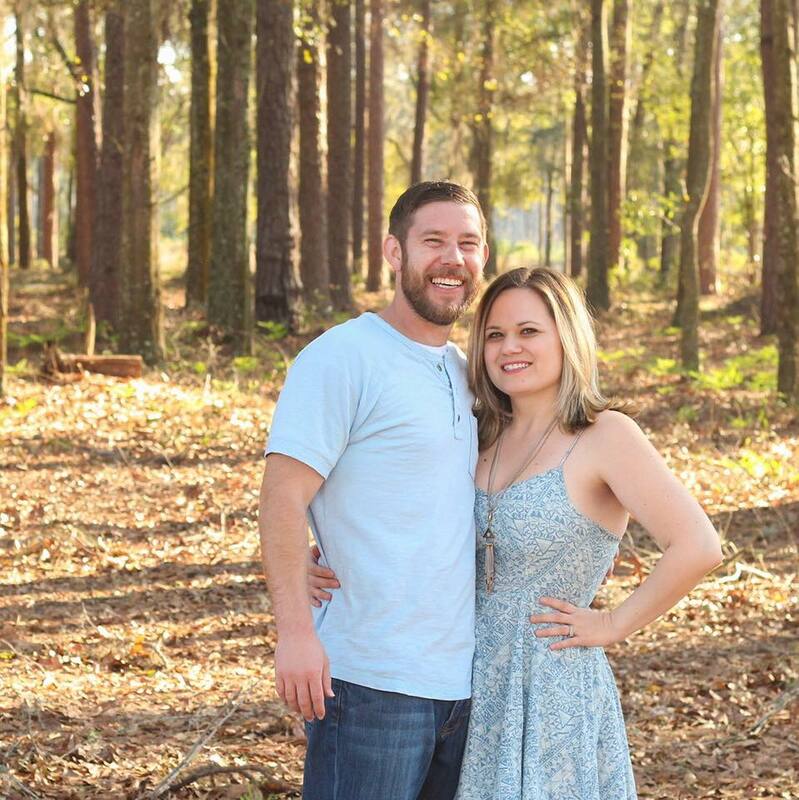 Katie and I started introducing our cats two weeks before we planned to leave. Before we left we’d bring them to the RV daily while trying to extend the amount of time we spent there. Not going to lie we missed a day here and there but the important part is to bring them over and get the introduction started. With this process, you’re trying to get the pets to a point where they feel comfortable and safe in the new environment. After some time has passed you may want to bring your pet over at dinner time and feed them in the new environment. Before you take this step, you should feel good about the comfort level your pet has gained. Once they’re able to eat in the new environment it will signify they’re getting more comfortable in the space. If you own a motorhome, your pet will likely be riding with you down the road in the same environment you just introduced them to. 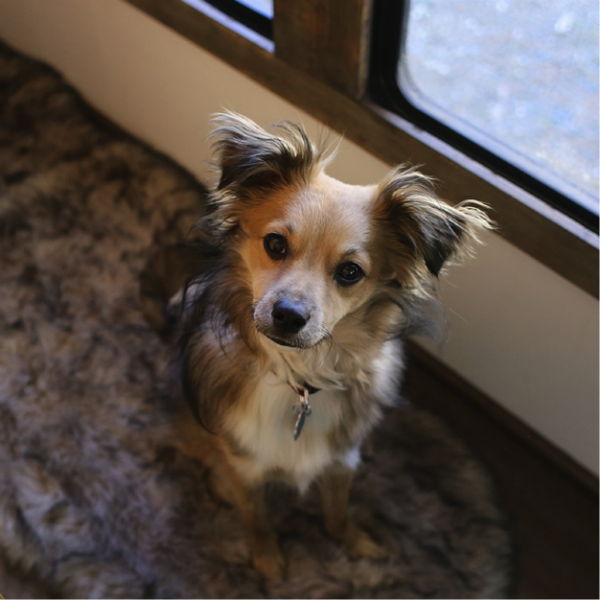 If you pull a fifth wheel or travel trailer your pets will ride with you in your vehicle, as it’s extremely dangerous for them to be in the trailer alone. Regardless of which way you’re traveling, the process for getting them ready for the open road is the same. You can get them ready for travel in a similar way as the introduction process mentioned above. Meaning before you escape on the adventure you’ll want to take baby steps. You’ll want to go on small trips with the vehicle in motion and the pet on board. On the first trip, you may take a drive around the block, then gradually increase the length of the drive. This will slowly introduce them to the vehicle being in motion while building up their comfort level with long drives. While researching traveling with pets, you’ve probably come across different ideas about whether or not you should crate your animals while driving. The Humane Society suggests crating your dog when driving in a vehicle or having them in a harness and secured with a seatbelt latch of some kind. Although crating is their recommended method for travel. The reason they suggest this is two-fold. The first reason being so the pet doesn’t distract the driver and in turn create an accident. The second reason is to help protect your pet if an accident were to happen. We think it’s a good idea to at least crate your pet in the beginning of your travels since it will help them feel safe, and give you one less thing to worry about. With that said, using a crate or seatbelt latch is completely up to you, so do what you’re most comfortable with. At this stage, your pet is a little better acclimated to the RV or at least as much as they can be. Maybe you have an adventurous dog or cat, and after all the pre-work, they’re ready. Or maybe all they do is meow, bark, or curl up and cry. If that’s the case don’t feel bad—they’re going through a lot. But rest easy because there are options to help. You can visit your vet and ask for a mild sedative, this can help lower the amount of anxiety your pet is experiencing. If you take this approach I’d suggest giving the sedative a trial run in the normal environment before trying it on the road. This way you can see how your pet reacts to the sedative in a comfortable location. You may even want to pick some up just in case, even if you don’t plan on using it. We didn’t end up doing this, but we’ve heard stories of this saving the day. If the sedative route isn’t one you wish to take, you can use a crate and a blanket. If your dog or cat is in the crate during travel and won’t stop crying, you can lay a blanket over top of the crate. This will help them feel more secure by creating a dark and enclosed space. If they don’t stop crying right away don’t give up on it—from ours and others’ experiences, giving them a few minutes to relax helps them calm down. There are also calming sprays and wall plug-ins available which are meant to help relax animals in stressful situations. So you could always give those a try. All of the tips and pointers above serve to help with the same point, to make your pets more comfortable and happy. And when your pet is happy, you’re happy. Since you’ve decided to go on a trip you’ve probably had questions, concerns, and even a little anxiety. Well, your pets are experiencing the same thing, and while we can talk to one another about our concerns, our pets cannot. If you can make the new space like home your pets will feel at home. Oh yeah, one more thing, be PATIENT. It may take time for your pets to adjust to RV life, or they may take to it right away. If you’ve been traveling with your pet for awhile and they’re still struggling you may want to consult your vet for helpful guidance. As a little side note, we found Doggy Dan who has a lot of online videos which can help you work with your dog. We’ve got a long way to go with McNally but he’s practically a new dog since we’ve been implementing some of Doggy Dan’s practices. 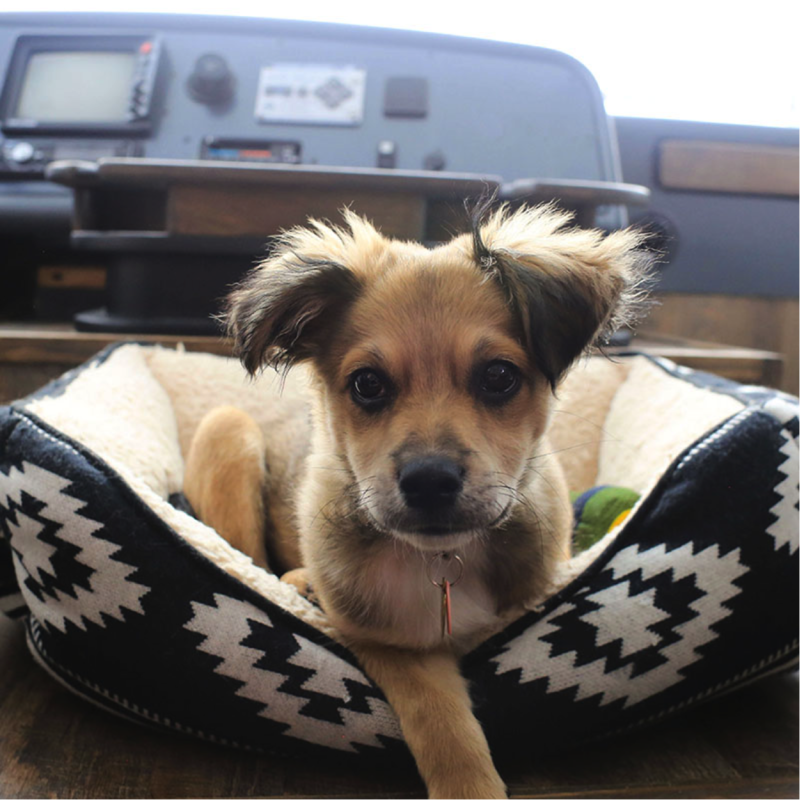 We’ve been lucky and all of our pets quickly adjusted to RV life, but if you have any other tips to help pets adjust to RV life, tell us about them in the comments below!